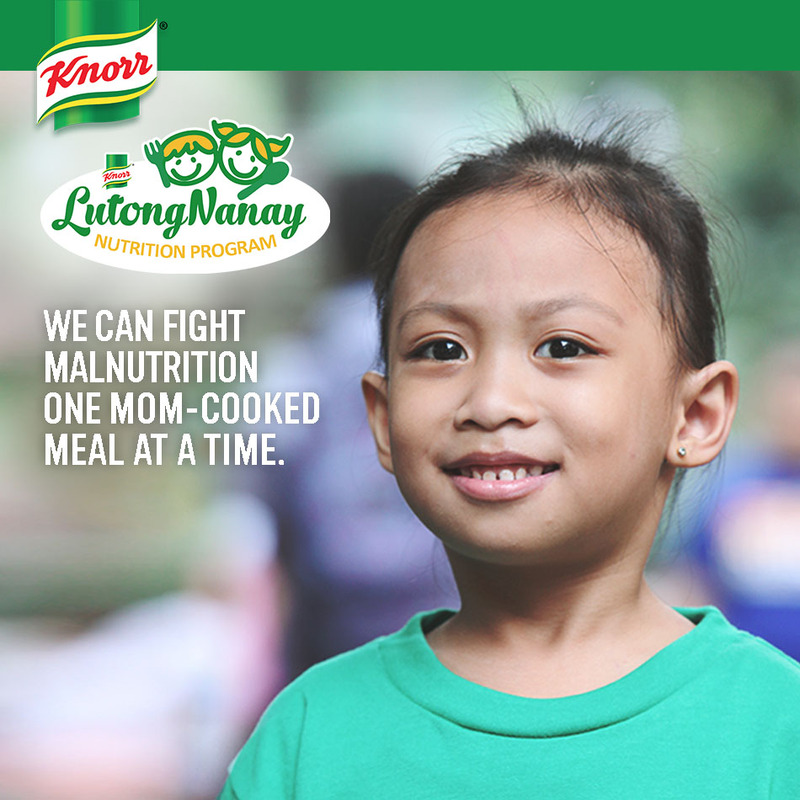 Join me this Saturday for a trip down at Mercato Centrale for the Knorr Lutong Nanay Food Fair! Did you know that there is at least 5 million malnourished children in our country? With all the food wastage accounted for annually, it's so sad that there are still children who goes to bed at night. That's why I am very much supporting Knorr's advocacy to eradicate this problem and to promote importance of healthy meal. Home cooked meal are still the best, the simplest to make and the heartiest! Like Knorr ambassadress Carmina Villaroel, we both believe that a good healthy meal doesn't have to be expensive. As a new mom, I always thought that a good meal meant having to go to expensive Sunday markets, getting only ingredients from the healthy food store! What I didn't realize then that I learne now is that providing a well-balanced meal that is tasty and nutritious is just right inside my regular grocery store and the nearest public market. I just had to learn to buy the best looking one and prepare them in a way that would maximize their vitamins and minerals! At the end of the day, it was meals that my mom used to prepare for our family was still the best thing I can prepare for my own family. Knorr feels the same way, too! That's why the are passionate about making sure that we go back to the ultimate best and that Lutong Nanay is the way to go! Mercato Centrale, 7th Ave cor. 25th St.